I consider myself to be on the conservative side of things in more ways than one. Those who know me well will elaborate on the fact that cars play a big part of my life in addition to being an intricate part of my business and career. When I’m not running my business, either on the automotive or software side of things, I am either spending time with my family or behind the wheel of a new or very special vehicle. One of the very special vehicles to make my garage home recently is the new 2017 Shelby GT350. In full disclosure, I have driven over 1,000 vehicles in my lifetime, and when it comes to making a choice on the next automotive purchase, it becomes a difficult feat. I am fortunate enough to test drive vehicles each week and give my full review synopsis on each. To the surprise of many who read my car reviews, I have had some biased opinions at times due to previous experiences, such as one that was on the favorable side of BMW M vehicles due to my long-time ownership of a 2002 model year E46 BMW M3. Though, the past few years my favoritism has run short with BMW as many of their cars don’t thrill me like they used to for many reasons that I have explained in previous reviews. As time has progressed in the past two years, I have been on the look for another vehicle to add to my garage, and somehow I managed to narrow it down to a new Shelby GT350. Many of my automotive journalist peers have resided on the side of being favorable of performance vehicles as many of them are die-hard automotive enthusiasts. The startling fact that automotive enthusiasts only make up a fraction of our vast American population has helped drive the sales of vanilla modes of transportation with a strong move towards sporty-ute and crossover utility vehicles over sedans and sports coupes. However, such a fact hasn’t prevented me from indulging in the opinionated verbiage of professional automotive journalists who have given unadulterated praise towards certain performance vehicles. Among those vehicles given praise by the peanut gallery of auto journos was the GT350 and GT350R when it made its return debut in 2015. In recent years, there has been an onslaught of new creations on four wheels dedicated to titillating our senses like never before. Horsepower numbers are higher than they have ever been and lateral g-forces have nearly defied the laws of physics for a transportation device. In a nutshell, we’re living in a newfound automotive golden age, one that has countless performance vehicles, some of which have made it to my short list of vehicles to consider purchasing. Many of those vehicles included the new Camaro ZL1, BMW M3/M4, Audi RS5, Dodge Challenger Hellcat, Jaguar F-Type R, Porsche Cayman GT4, Porsche GT3, Cadillac ATS-V, and the Ford Shelby GT350. Of course, there were many others that I had considered that broke the 100K price tag – but those were all more of an afterthought because I wanted to be as frugal as possible on my next purchase considering I was making plans to build a new house. Not to mention, I certainly am a frugal person, which has gotten me pretty far as being what many consider as a “successful” person. I don’t plan on deviating too far from what has worked in the past. My list of vehicles to consider consisted of ones I had driven at one point and time or done a full weeklong test drive review here on AutomotiveAddicts.com. There were only a couple vehicles that I had not driven but set my eyes on doing such before considering them for purchase. 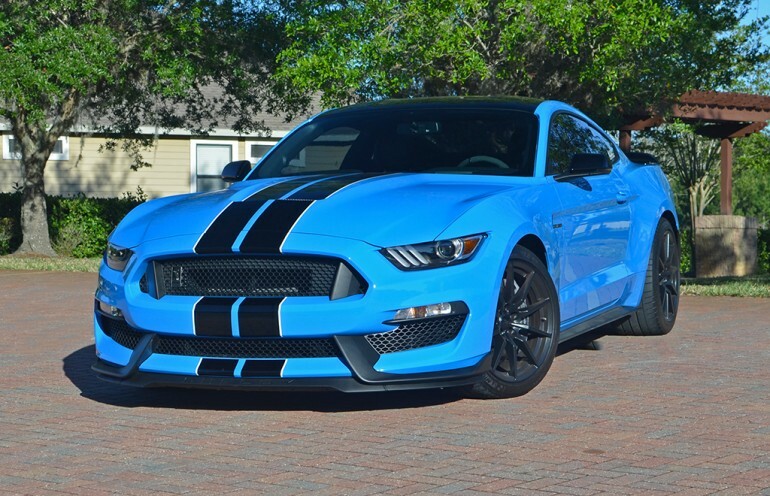 However, in making a choice to fork over a rather large check for my next vehicle, I took a chance, one that not many people risk, I purchased new Shelby GT350 without ever driving one. Yes, I did the nearly unthinkable – I based my purchase on several automotive journalist opinions of the new GT350, a vehicle that was given high merits on all enthusiastic accounts by folks who also made a living driving hundreds upon hundreds of vehicles only to divulge their brutally honest opinion in a popularized automotive publication. 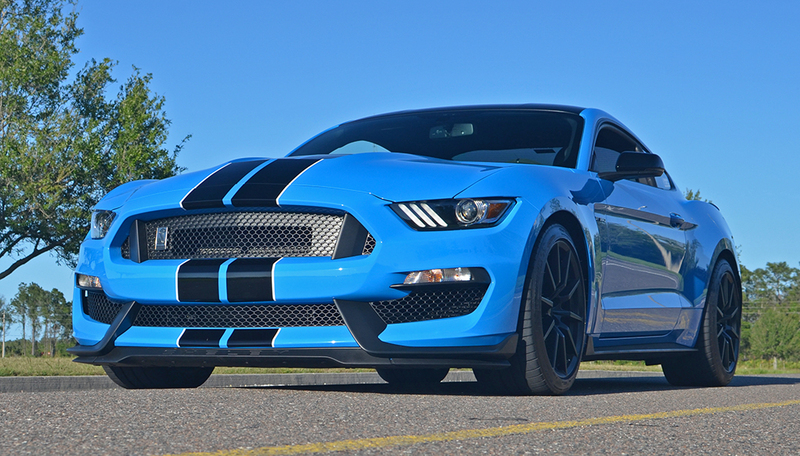 I had driven just about every iteration of modern-day Mustangs except the new GT350. Funny enough, the modern Mustang was never a vehicle I liked to the point of owning one. In fact, I despised the very thought of a Ford Mustang especially when it came to the countless careless accidents witnessed by YouTubing bystanders at Cars and Coffee events and automotive shows. I was known as a BMW M3 purist, someone who would be thought to graduate to a new Porsche 911 GT3 or GT3 RS. Never would anyone who knew me well enough ever dream that I would consider anything Mustang. Moreover, I never imagined myself owning a Ford. When it came to American cars or muscle cars, my choice used to be Chevrolet – something like the new Camaro ZL1 or Z/28. I believe my move to Ford has been the convolution of driving over 1,000 vehicles leading me to do what I thought was unthinkable for me. What got me with the new Shelby GT350 and ultimately pushed me towards ownership is the overall formula that Ford birthed in what is a unique vehicle by many standards. Not only was the production of the GT350 limited, but by all accounts the many GT350 reviews I scoured explained how it was THE vehicle for enthusiasts to have. Everyone clamored on how they would own a vehicle if they had the means. Well, guess what? 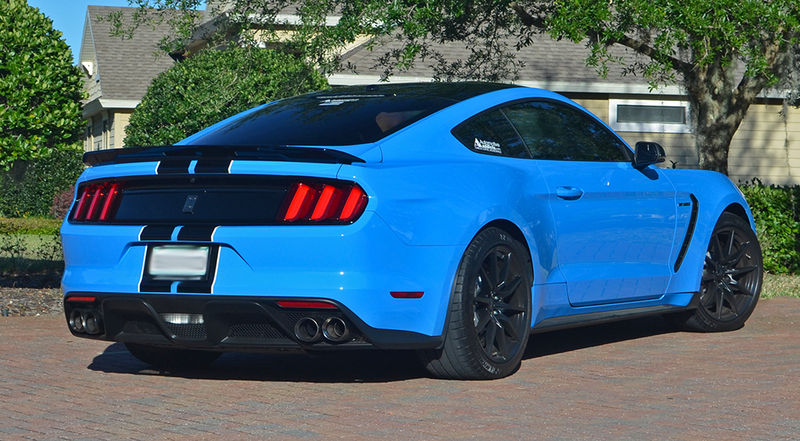 I was blessed with the means and I took a chance based off of the idea that we only live once and the GT350 probably wouldn’t be in production but for another year. 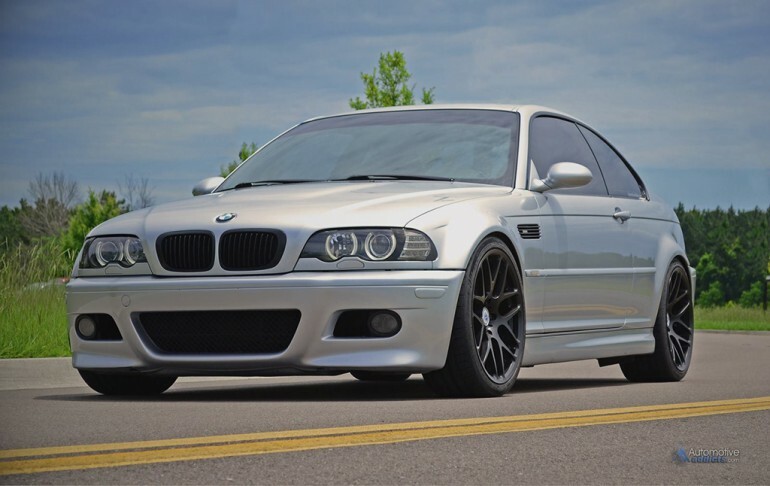 The fact of it having a naturally aspirated 526-horsepower and 429 lb-ft of torque flat plane crank V8 that revved to 8250 rpm mated to a 6-speed manual transmission with wide-patched tires (295-fronts and 305-rears), magnetic dampers, and an intoxicating sound all for a price of around $60K for the configuration that I wanted was more than convincing for me. Call it what you will – a value or a compromise, either way you slice it, the huge (YUGE) smile on my face each time I get behind the wheel is enough to justify my choice. No regrets here. 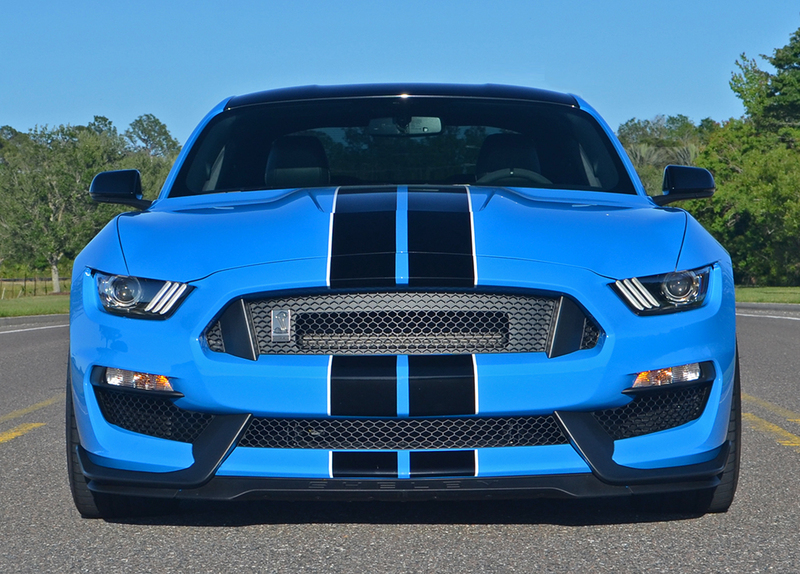 Nothing but ear-to-ear smiles and a competent sense to keep my “Mustang” Shelby GT350 on the pavement.